Sky have paid £160 million for Virgin Media's television channels - including Living, Bravo and Virgin 1 - with Virgin Media's cable service getting HD Sky channels as part of the deal. Sky will acquire VMtv - consisting of LIVING, LIVINGit, Challenge, Challenge Jackpot, Bravo, Bravo 2 and Virgin1 for £105 million, with £55 million to be paid following the regulatory content. As part of the deal 'basic' Sky HD channels will now be available for the first time on Virgin Media's cable offering. New carriage agreements have been sealed to keep the VMtv channels and Sky's other channels - including sports and movies - on the cable service as well. Jeremy Darroch, CEO, BSkyB, said: "VMtv is an attractive investment opportunity which complements our existing content business and delivers strategic and financial benefits. "We are pleased that, through commercial negotiation, we have been able to ensure wide distribution of our channels to a growing pay TV universe." Neil Berkett, CEO, Virgin Media, said: "The sale of our channels business has generated substantial value. 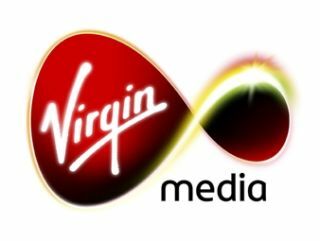 "Together with the new commercial agreements we've announced today, it will allow us to focus more closely on our strategy of exploiting Virgin Media's super-fast connectivity to offer our customers a range of the very best content through a highly versatile next generation entertainment application."